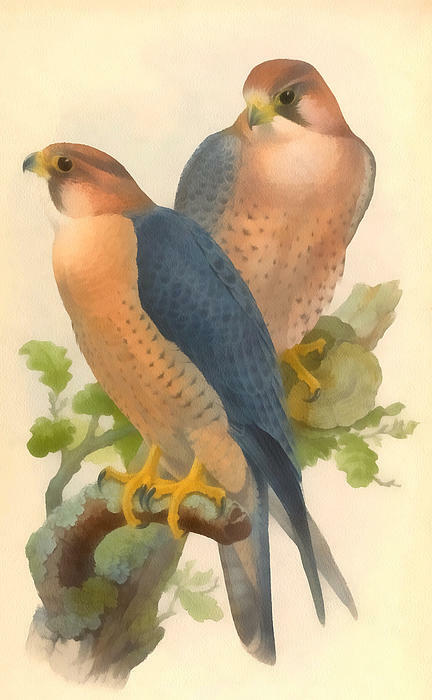 The Peregrine Falcon (Falco peregrinus), also known as the Peregrine, and historically as the Duck Hawk in North America, is a widespread bird of prey in the family Falconidae. 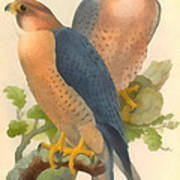 A large, crow-sized falcon, it has a blue-grey back, barred white underparts, and a black head and "moustache". 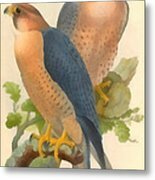 As is typical of bird-eating raptors, Peregrine Falcons are sexually dimorphic, females being considerably larger than males. 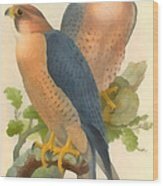 The Peregrine is renowned for its speed, reaching over 322 km/h (200 mph) during its characteristic hunting stoop (high speed dive), making it the fastest member of the animal kingdom. According to a National Geographic TV programme, the highest measured speed of a Peregrine Falcon is 389 km/h (242 mph).